A professor in the College of Arts and Sciences has received a national award for his work on large-scale writing assessment. 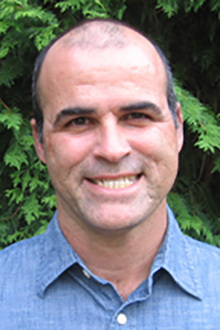 Tony Scott, associate professor of writing and rhetoric, has received the Council of Writing Program Administrators (CWPA)’s Outstanding Scholarship Award. He is being recognized for his article “Democracy, Struggle, and the Praxis of Assessment,” which appeared in the December 2013 issue of College Composition and Communication (CCC), published by the National Council of Teachers of English. Scott co-authored the article with Lil Brannon, professor of English at the University of North Carolina at Charlotte. Scott will be honored in July at CWPA’s annual conference in Boise, Idaho. Scott says both the terms of work for writing educators and the validity of writing program assessments are at issue in writing assessment. “A myopic focus only on reliably measured traits in students’ texts distorts the work of teaching and ignores the richness and scope of research-informed writing education,” he continues. Scott is also the author of “Dangerous Writing: Understanding the Political Economy of Composition” (Utah State University Press, 2010), an important book connecting pedagogical practices in writing classes to their broader political-economic contexts. “He argues that the analytical power of students’ writing is prevented from reaching its potential by pressures within the academy and without, which tend to wed higher education with the aims and logics of ‘fast capitalism,’” Agnew says.